Most patients seeking this treatment do so to relieve back pain caused due to an accident, sports injury or muscle strain. The overall goals of this rehabilitative technique are threefold; to provide pain relief, to restore functional independence and mobility, and to prevent future injury. Neuropathy is the term used to describe a problem with the nerves, usually the ‘peripheral nerves’. Combining physiotherapy treatment techniques with a targeted exercise program is the key in managing pain, restoring mobility and promoting tissue healing. 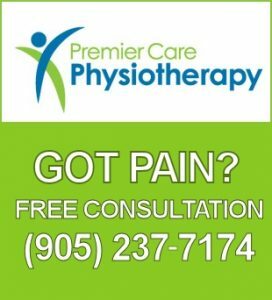 At Premier Care Physiotherapy, our experts encourage their patients to actively engage in rehabilitation and exercise. We place our patients on the right track by exercising weak muscles and regaining flexibility and strength that may have been lost. Our exercise programs are tailored to the individual's condition and pain level, and include a combination of stretching, strengthening,core stabilization, aerobic conditioning and coordination. Your physician may provide a referral for physiotherapy prior to your scheduled surgery. The purpose of pre-surgical physiotherapy will vary depending on your condition. Our physiotherapists will discuss your post-surgical precautions and/or restrictions. You may be instructed on how to perform your daily activities in a safe way or how to use an assistive device, such as a cane, crutches or a walker, if needed. You may be given exercises to perform at home in order to minimize your level of pain and dysfunction before surgery. Depending on your needs, you may be seen for one visit or multiple visits before your surgery. Orthotics are corrective devices that are worn inside the shoe. They align the muscles, tendons, and bones of the feet and lower legs. They correct your gait and stance, and even influence your posture. Custom-made orthotics can decrease pain in your feet, legs, hips, and lower back.